So many businesses need to accept bookings and appointments through their website. Since millions of such websites are based on WordPress, it follows naturally that there is a need for good appointment plugins for WordPress. We therefore went ahead and tested the options on the market and present you with the best ones we’ve found. There are many calendar plugins out there, each serving different needs, from the basic calendar we all know, to a calendar specifically for Facebook events. 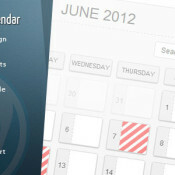 Here we take a look through the best free and premium calendar plugins on offer.